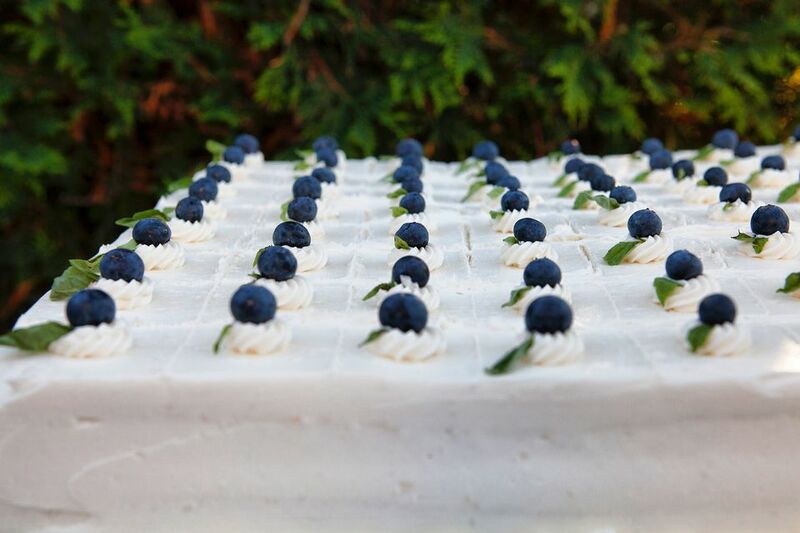 One of the most common problems with making a sheet cake for your event is trying to decide exactly how many people a certain size sheet cake can serve and how many layers are required. This is one of the first questions new bakers have when attempting to bake these confusing creations and the answer is entirely dependent upon who is asked the question. A sheet cake is a fast solution when you have to make a cake to accommodate a lot of people. One problem which can occur for home bakers is that standard large baking sheets do not fit in residential ovens. Several quarter sheet trays need to be combined to prepare bigger creations and baking sheets now come in a dizzying assortment of choices, which causes even more confusion. Quarter Sheet Cake: This cake is perfect for a children's party, a potluck event, or even a small office celebration. This size can be handled easily by amateur bakers and can be stacked to create a sumptuous treat for guests or clients. Half Sheet Cake: This size cake is usually what you will find when you stumble upon a store launch at your local grocery store, a larger birthday party, or even an anniversary party. The larger surface is perfect for more elaborate decoration and a longer message written in icing. A half sheet cake is quite large but still easy to make and bake with a little organization and space. Full Sheet Cake: This is the hardest cake to create in a home kitchen because it requires a perfectly calibrated large oven and also needs a pan to store and transport the finished creation. It takes a little expertise to create multi-layered full sheet cakes without a great deal of frustration and to achieve good results. Full sheet cakes are wonderful for exciting corporate events that need logos or extravagant decorations to satisfy the guests and importance of the event. Use recipes designed specifically for a sheet configuration. Sheet cakes are usually thinner than standard cakes so they can be prone to texture and moisture issues. Prepare your pans well with flour, butter, and parchment paper to prevent your sheet cake from sticking. During baking, check the cake at least a couple of times to determine if it is finished, taking into account a shorter baking time than a standard recipe. For easier handling when making layer cakes, place your baked sheet cake in the freezer or at least the fridge wrapped in plastic. It is virtually impossible to torte (cut in half) a sheet cake without it cracking or crumbling. Always chill the sheet cake if you are going to torte it so it is firm and cuts smoothly. Nevertheless, it is better to bake the layers in separate pans.